TILT-n-SHAKE click carries Freescale’s MMA8491Q IC. 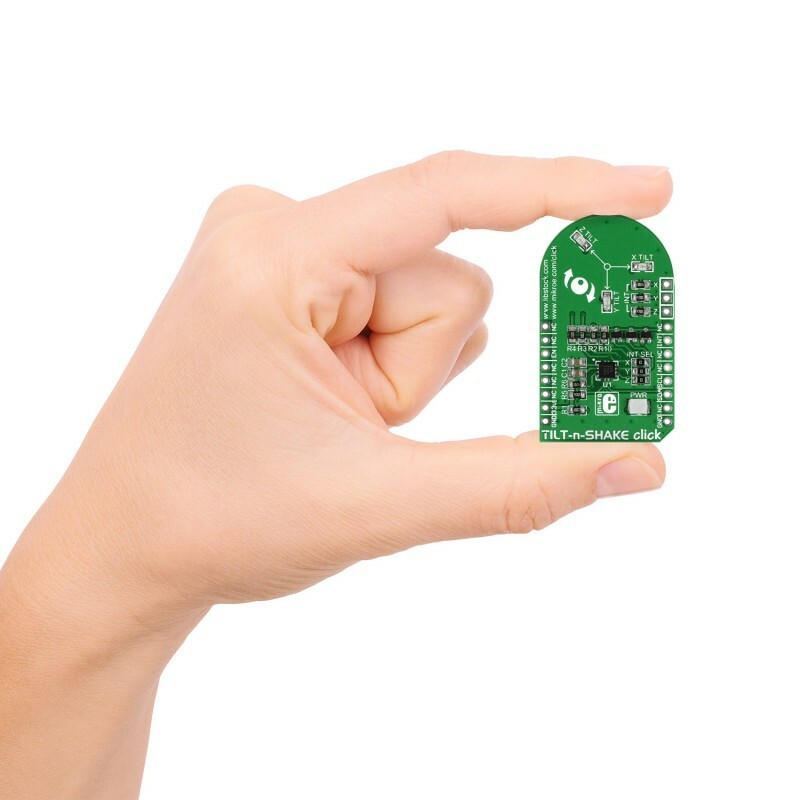 It’s a multifunctional 3-axis digital accelerometer that can also be configured as a 45-degree Tilt sensor. TILT-n-SHAKE click carries Freescale’s MMA8491Q IC. 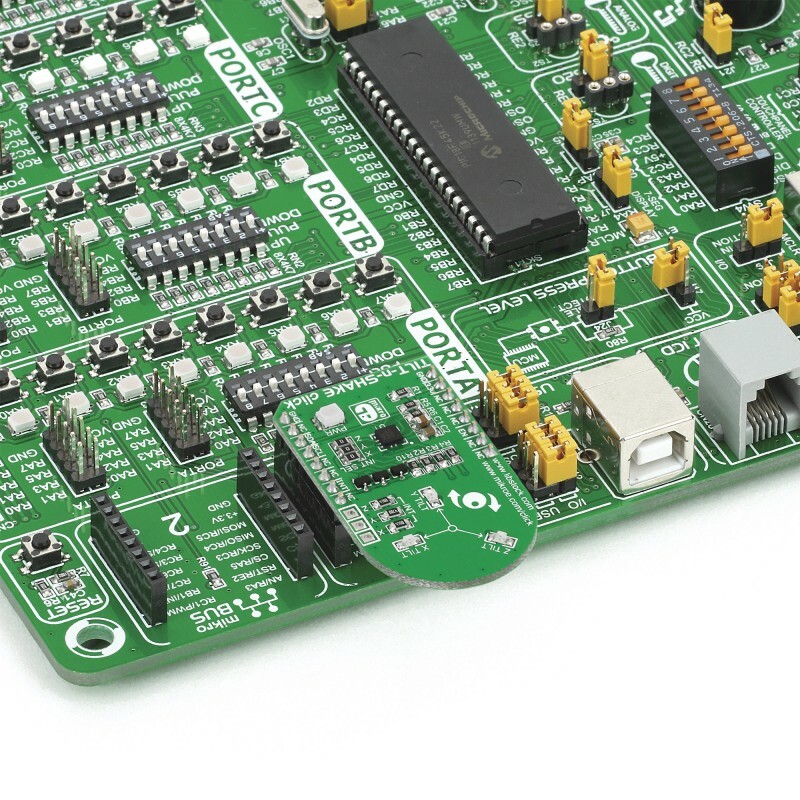 It’s a multifunctional 3-axis digital accelerometer that can also be configured as a 45-degree Tilt sensor. To use it as an accelerometer, keep the EN pin pulled to logic level high. 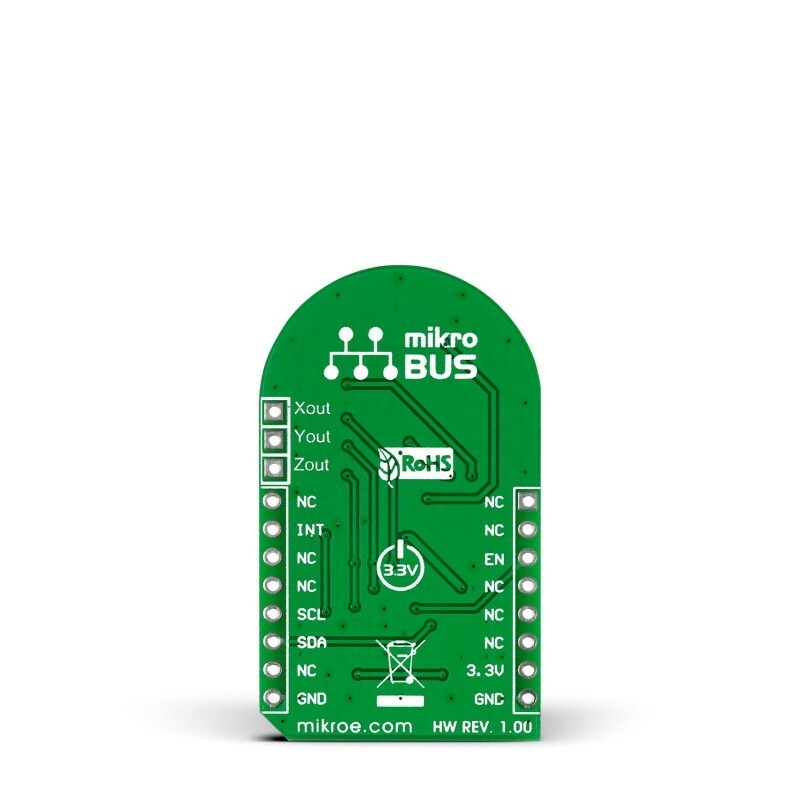 The acceleration data will be outputted to the target MCU through mikroBUS™ I2C pins (SCL, SDA). The output time is about 700 microseconds, with a 14-bit resolution, ±8 full-scale range and 1 mg/LSB sensitivity. As a Tilt sensor, the click board needs only one output pin — INT (interrupt). Three onboard LEDs will also signal the tilt orientation. 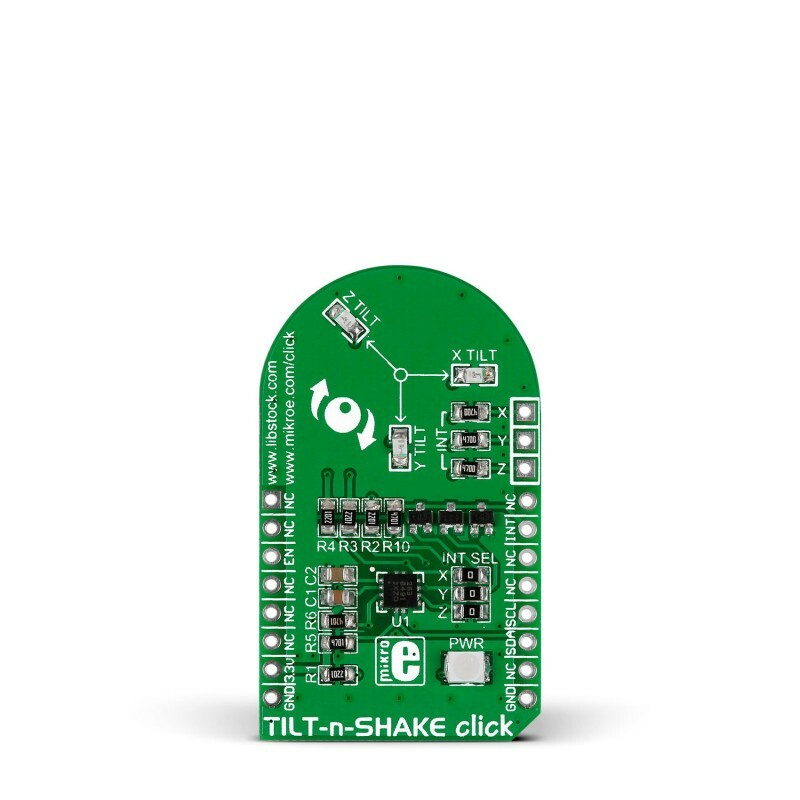 TILT-n-SHAKE click is designed to use a 3.3V power supply only.